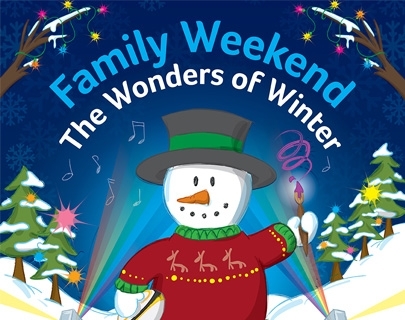 Join us and celebrate this magical time of year with a dazzling and colourful weekend – as we encourage you to discover The Wonders of Winter. Draw with light, move with colour and make amazing creations inspired by the coldest of the seasons. Follow the light trail, stamping your Explorer Passport as you go, and take part in incredible ultra violet activities. Enjoy a whole host of creative, sporty, and tasty fun activities throughout the day for our Christmas show Stick Man, Wriggle Dance Theatre present The Colour of Me and we’ll be screening The Gruffalo and The Gruffalo’s Child in the cinema. Warwick Arts Centre in collaboration with Warwick Sport and Warwick Retail. Full details will be announced here.